Traditional water management methods are reaching their limits and technical measures alone are insufficient. 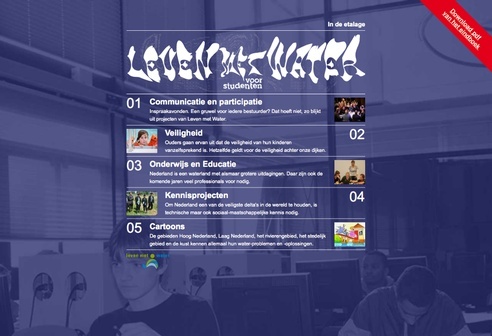 Living with Water is a new Dutch knowledge impulse program. Under the newly required changes it stimulates collaboration between the domains of water management and spatial planning, science and practice, and economy and sociology, both at home and abroad.